Energy-efficient, weatherproof telescopic clothes dryer reduces electricity use and extends the life of your linens and clothing. 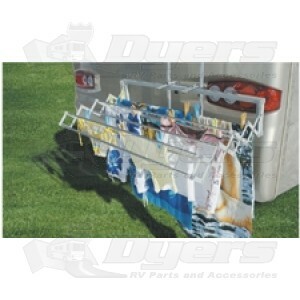 Provides up to 33 feet of hanging space and folds to only 6" wide for simple storage. Easy to install both indoors and outdoors.